It’s the Monday before Thanksgiving, which means your turkey should be thawing and your pies should be baking. Both turkey and pie, particularly pumpkin, are Thanksgiving traditions and I love them both. But did you know that pie at Thanksgiving really has nothing to do with pilgrims or Native Americans? In fact, common belief has it that the tradition was probably started by a magazine sometime in the mid-nineteenth century. Who knew?! What we do know is that we all have a pie preference. Me? I’m a pumpkin pie girl through and through. Maybe you prefer pecan or apple pie after your turkey, or a host of other pies. And, just like pies, which come in all flavors and styles, the one you like the best says something about your unique traits and styles. 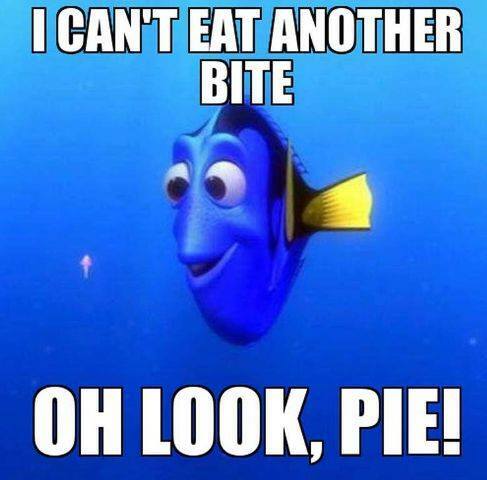 Just what do your pie choices say about you? According to the American Pie Council, Hellow Giggles, and Little Things, everything! A Thanksgiving tradition and my absolute favorite, pumpkin pie is considered America’s second favorite after apple. Made of one of the earliest import foods that Europeans introduced the New World to, the orange squash quickly became beloved by colonitsts and remains so today. The pie is a fall tradition too so those who like it best often consider fall their favorite season. Raising my hand there! Those who love pumpkin pie also love sitting at home cuddled up with a cozy blanket, a fire, and maybe a good book or good friends. 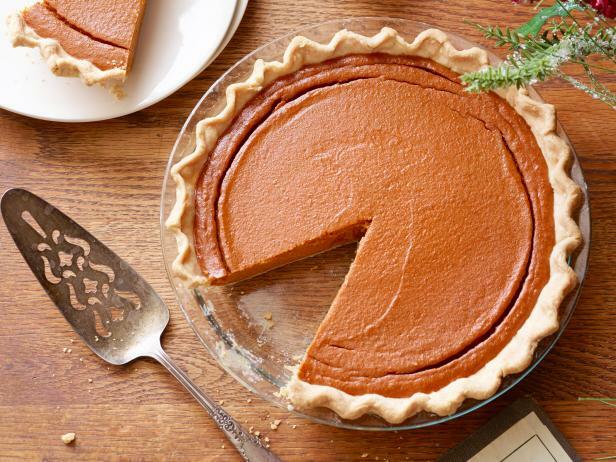 Pumpkin pie is considered simple and a classic, and so are pumpkin pie lovers. They like to keep things chic but not fussy; are effortlessly elegant; and are most likely emotionally stable, consistent, and reliable. Simple also means you can’t stand drama or chaos and having a calm environment is very important. According to the American Pie Council, this my friends is America’s favorite pie. 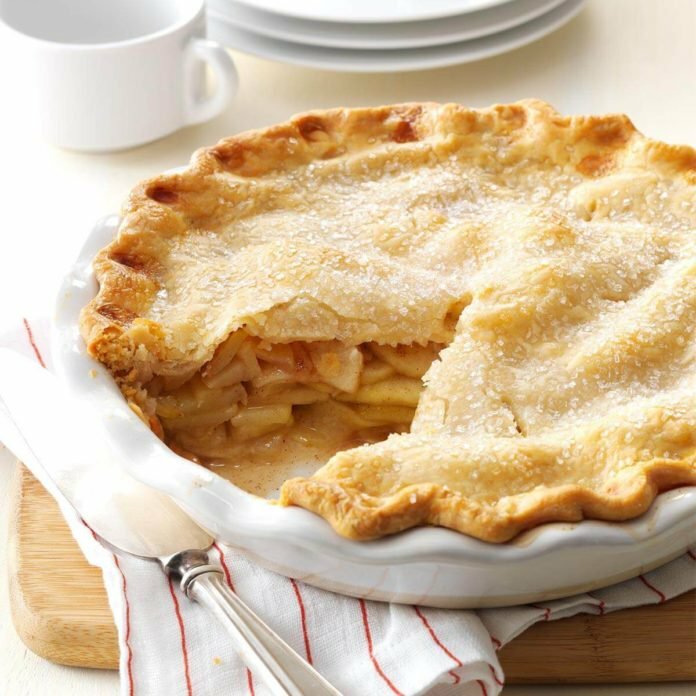 If it’s your favorite, you’re probably “As American as Apple Pie” and love tradition and security. You tend to lean on the same products in your life again and again, whether it is your dish soap or your favorite jeans, and you are a grounded, realistic person and friend. You are also compassionate, love the outdoors, and enjoy being active. 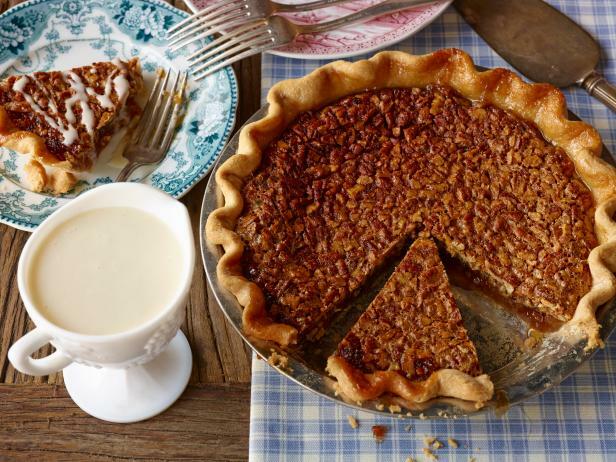 America’s third favorite favorite, pecan pie is very sweet and so are you! Especially popular in the south, there are many versions of pecan pie, but all are sweet and all are beloved. 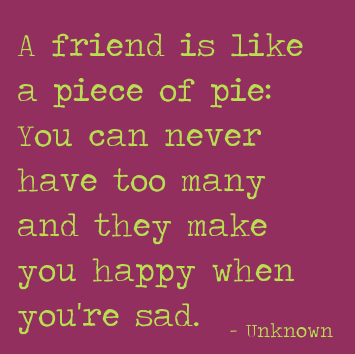 If it’s your favorite pie, you’re likely thoughtful and analytical and have tons of friends. Those friends love your rationality and loyalty and often come to you for advice. Sounds like you are just like pecan pie itself: infectious! Probably my second favorite pie, peach pie has been around forever and is so versatile. You can serve hot or cold and make it with fresh, frozen, or canned peaches. If you love peach pie, you probably also love a challenge and love for your mind to be stimulated. You are definitely a thinker but sometimes over analyzes thing and is someone who learns from mistakes and trials. You also hate to fail. Oh boy, raising my hand on all of these too! Blueberries can stain a table cloth or shirt like nobody’s business but guess what; if this is your favorite pie you couldn’t care less! A blueberry pie lover is that fun-loving, laid back, life of the party person. In fact, you’re kinda like the pie itself, which is considered by many the easiest to make, in that you are easy going and open minded and you love when others succeed. You are also very smart, have excellent taste, don’t embarrass easily, and are quick to laugh at yourself. Relax and be happy: you’re a blueberry pie lover! When I think of a cherry pie I think tart, and guess what, so are you if this is your fave! It’s all in a good way though, in that you have attitude and confidence and you don’t let people push you around. You, like the bright red of the cherries themselves, also don’t mind standing out in a crowd and you live for a little excitement. That yearning for adventure means you’re a risk taker, are always trying new things and taking on new hobbies, and are rarely bored with life. Often confused with its more popular cousin the pumpkin pie, sweet potato pie has also been around since colonial times. It’s nostalgic and very southern, and so are you if it’s your top pie pick. It’s ingredients were adapted from African cuisine and it’s still a staple soul food item. It’s also usually a surprising but welcome sight at holiday gatherings and so are you! To me, this is basically a chocolate pudding pie but to those who favor it, it’s much, much more. Baked properly, a chocolate silk pie is just that: smooth. So are you. You prefer the best things in life and have great taste. Richness emotes from the pie and from you. So there you have it. What does your favorite pie say about you? Just for fun, print this out, take it with you to your Thanksgiving get together, and see what your family and friends are too!